When the heat of the summer arrives, it can have an impact on the fluids in the car. Hesperia Automotive or Road Runner Auto Care in Apple Valley can examine the fluids in the car to see if there are any leaks or other issues that need to be repaired before you take your car out on the hot roads. The oil in the car helps to keep the motor and other components lubricated. You want to use a thicker weight as the heat of the summer will thin the fluid. If you use an oil with a lighter weight, then the oil might be too thin for the motor. 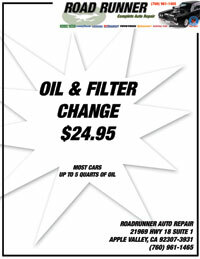 Road Runner Auto Care or Hesperia Automotive can check the oil level and change your oil to ensure that there isn’t any debris in the fluid. Another fluid that you want to let Road Runner Auto Care or Hesperia Automotive check is the coolant. If the coolant levels get too low, then it can cause the car to overheat. If the car overheats, which is a common issue in the summer, then it can crack the head or create issues for other parts of the vehicle. If you don’t have antifreeze to put in the car, you can usually put water in it, but you need to make sure there is antifreeze back in the vehicle before the winter season. The heat of the summer will naturally cause the fluids in the car to evaporate faster than they would in the winter. 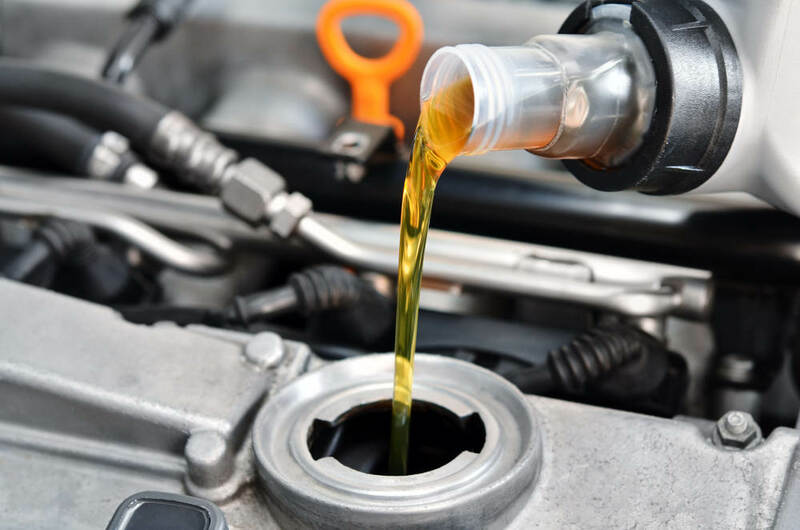 It’s best to let Road Runner Auto Care or Hesperia Automotive check all of the fluids to see that they are topped off before driving for long distances in the summer. In the event that you see a decrease in fluid levels, you can put a piece of cardboard under the car to try to see what color the fluid is and where the leak is coming from before taking the care to get it repaired.